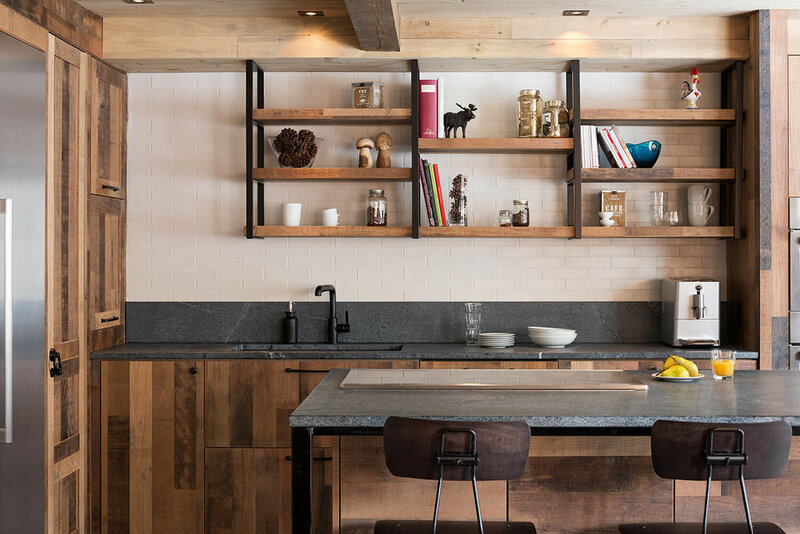 How much does a soapstone countertop cost? This is one of the most frequent questions we get, and for a great reason! If you have done much shopping for a countertop, you have likely been a little confused about how to determine the cost of your countertop. Hopefully we will be able to shed a little light into how the process works! A typical soapstone countertop can range from $75-$110/sq ft installed. Most countertop materials (granite, quartz, soapstone, marble, etc.) start off as a full slab. The slab is then cut into smaller pieces that become your countertop. This is important because typically material has to be purchased by the slab. Though some installers say they charge you for only what you use, they still have to buy the entire slab. So, if you have a 70 sq ft kitchen, but the soapstone countertop slabs are 55 sq ft apiece, there will be a lot leftover. However, if your kitchen is 90 sq ft, there will be less material left over, which will decrease the cost per square foot. Also, since larger blocks of stone are harder to get out of the ground, bigger slabs will often cost more than smaller slabs. The type of soapstone you choose can also have a large impact on the overall costs of your countertop. Alberene Soapstone is quarried just south of Charlottesville, VA. Alberene Soapstone is one of the most expensive varieties of soapstone due to the high domestic production costs, and high demand of hard black soapstone. It is one of the hardest and most pure black soapstones in the world. The soapstone from the Alberene Quarry is also the only domestic soapstone in the market. Beleza Soapstone is a beautiful soapstone from Brazil. It has a dark emerald color that almost looks black. Like any product, countertop pricing has many factors, but the main factors are price and supply/demand. Domestically quarried stones typically have higher production costs than quarries overseas. This is due to higher labor costs, and greater regulatory expenses. When slabs are imported in a container you do have the added cost of shipping, but freight generally only accounts for about $2/sq ft of a countertops cost. So, the added freight is generally less expensive than the increased costs of production in the united states. As a general rule, soapstone is similarly priced to a higher end granite. Basic granites are cheaper because they typically have very little variation in look. When a stone has more veining or "movement" some of the blocks will have cracks, or will look ugly. Since those can't be sold, the cost of the "nice" blocks goes up. If you are looking for the most "economical" countertop, soapstone probably isn't it. However, it is a great alternative for a home that is looking for something a little different than standard granite countertops.